The University of Glasgow is one of Scotland’s best Universities as well as one of its oldest universities. It is currently a member of the worldwide Russell Group. It originally began as a university for people of wealthy background, but by becoming a pioneer in education in the 19th century, it started to provide support for students of lower classes in order for students of all classes to be able to attend Glasgow University and obtain an elite degree, something they received critical acclaim as a result of this move. The University of Glasgow was founded in 1451 and is currently the 2nd oldest university in Scotland, as well as the fourth oldest university in the English-speaking world. The university has 7 affiliates who are Nobel Laureates including James Watt, Adam Smith and Joseph Lister. The University currently has 26,000 undergraduate and postgraduate students from over 140 different countries, showing us that it is a multinational university that has an overall excellent education and brilliant academic excellence. The University of Glasgow is currently the 80th best university in the world according to the times higher education rankings. According to Shanghai Ranking, the university is number 51st in medicine, 101st in science studies and life studies and the 151st in mathematics and physics, meaning that the university is very competent particularly in medical, science and life studies. This is evident due to the university’s long history of being an elite university that has been teaching students for over 500 years. Needless to say, if a student is still thinking of studying in Scotland, but are looking to study a subject that isn’t medicine, science or life studies should still very much consider studying in the University of Glasgow because it has been an excellent university and is one of the 4 best universities in Scotland, meaning that students will obtain state of the art education regardless of what subject they have chosen. The times higher education also ranks The University of Glasgow as number 49 in life sciences, 53 in health studies, 101 in Physical studies and 151 in Engineering and Technology demonstrating that this university is indeed an excellent Medical, Physics and Mathematics institution. However according to the Times Higher Education, the University best excels in Law where it is ranked as 48th best Law University in the United Kingdom. In overall, being the 80th best University in the World means that it is simply the best of the best university in the whole world without question. Sports-wise, the university is just brilliant, where the fact that the university has over 49 sports clubs and over 50 different exercise classes per week. This demonstrates that the University of Glasgow is a very competitive university sports-wise, proving therefore that it is an excellent choice in overall for students wishing to participate in their favorite sport and that the energetic folks will never miss out when joining the University of Glasgow. The Application requirements for an offer in University of Glasgow vary depending on the subject. For example, students who are wishing to take Economics, Physics and Chemistry all require a B in Mathematics GCSE and A level examinations, as well as an A if the student has achieved a C in Math, or a B if the Student has achieved a B or higher (in Math) in their Physics A levels examinations. Students wishing to take subjects such as Law, Community Development or Psychology must achieve a minimum of two A’s and 1 B and must include one Humanities subject, Psychology and preferably a math subject or Latin (Community Development and Law respectively) in order to be considered for an offer. *Home/EU undergraduate students undertaking an exchange for a semester/year will continue to pay their normal tuition fees at Glasgow and will not be charged fees by the overseas institution. * Fees also apply to students from England, Wales and Northern Ireland who first registered before 2012. The exceptions to standard fees listed are correct at the time of going to press. However, you should check the fee level applicable to your course of study at the time of your admission. Fees quoted are for new entrants. Different fees may apply to some continuing students. Students who are eligible by virtue of previous attendances to sit degree examinations must enter for the examinations at the normal registration period at the beginning of the session and pay a registration fee of £150. Late fees are charged at 3% with a minimum charge of £5. Late fees will not be charged to sponsors. Founded in 1451, the University of Glasgow is the fourth oldest university in the English-speaking world. We are one of the top 100 of the world’s universities and have been named Scottish University of the Year by The Times and The Sunday Times Good University Guide 2018. Visiting Glasgow is simply a treat. Glasgow is one of Scotland’s most beautiful cities. If there’s one thing you will notice in Glasgow is how polite Scottish people are. Scottish people are one of the most polite and well-mannered people you will ever get your chance of meeting. The 12 century Cobblestone structures and the beautiful, clean and pearlescent beaches will simply enamor you to the core. 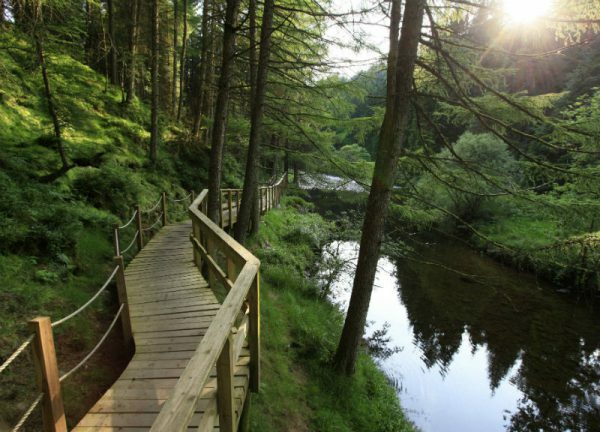 Scotland is also full of precious rainforests that is shined with an amazing sub-tropical sunshine that almost gives you a feel as if you are in a tropical rainforest in South America. It is worth mentioning however, that the weather in Scotland is usually very cold and rainy, where it can remain like that until Easter. In Easter however, the weather is simply amazing. The sun can be very bright, but at the same time its neither as hot nor cold. This mild weather is just amazing because you will relish the mild warmness from the morning up to midday, but at the same time the mildly chilly weather in the evening to nighttime are treat to relish! In overall, a city like Glasgow has true beauty, with the precious buildings that resemble medieval castle towers fully packed with Cobblestone, as well as the beautiful sub-tropical style nature and friendly locals will simply leave you with one feeling : You’re at your new modern-classic home. Where should I go in Glasgow? 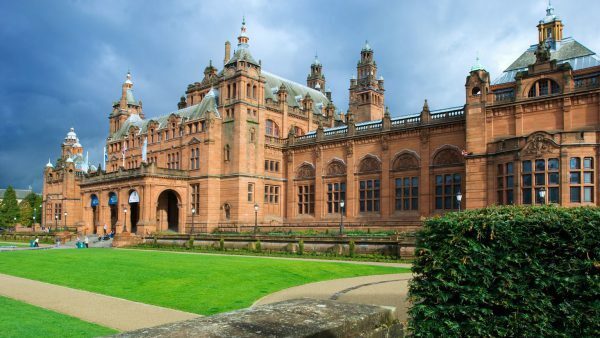 Glasgow’s number 1 attraction according to Trip Advisor, this museum has diverse world-class collection of art and artefacts from Natural History, Weaponry and Arms, and even Pre-historic art pieces. The museum is also free of entry, meaning anyone can enter if they wish. Attracting 1 million visitors per year, It is unsurprising as to why the museum is the best attraction in Glasgow! The music scene in Glasgow is one of the greatest experiences ever. The city hosts concerts very frequently with around 100-130 live concerts almost every week. The music also has a huge variety including Rock concerts, Rap Concerts, Pop and many more. 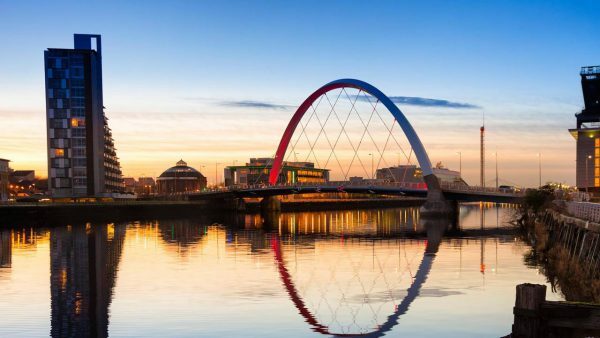 If you are someone who is looking for a great time to spend with your friends or girlfriend, and loves music then Glasgow will be literally a dream experience. 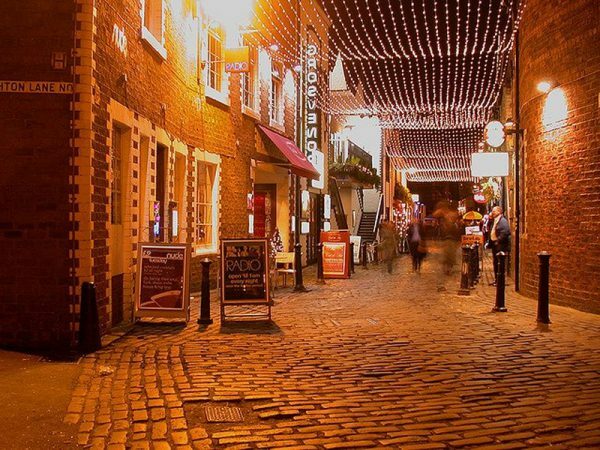 A Backstreet that is almost made entirely of Cobblestone, this lane is filled with restaurants, café’s, bars and even has its own cinema. This historic lane is known as the Glasgow’s leisure are, where families, friends and couples reunite at their favorite bar, restaurant, café or relax at the cinema and watch a film altogether. Often considered as one of the best Scottish restaurants, this place is full of savory Scottish dishes that are literally incomparable just by Sheer deliciousness and presentation. Apart from the delicious Scottish dishes, we also have a large selection of Scottish wines and Whiskies available at our service. Despite the name clearly poking fun at the Scottish cuisine, ironically it’s the exact opposite where it provides a truly Scottish experience that is almost unbeatable by standard Scottish restaurants and cuisines. An excellent Spanish restaurant that has everything you’d expect, Friendly staff, delicious paella, gazpacho, morcilla and even chorizo. The interior is cozy, clean and very presentable. 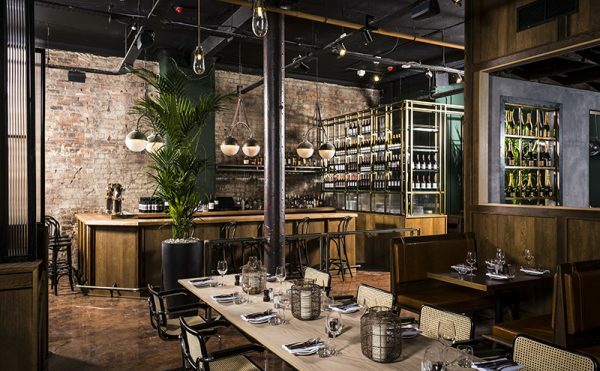 If you are seeking for a restaurant that has a friendly upbeat atmosphere, full of classic savory Spanish dishes then the Spanish butcher should be in your number 1 list! 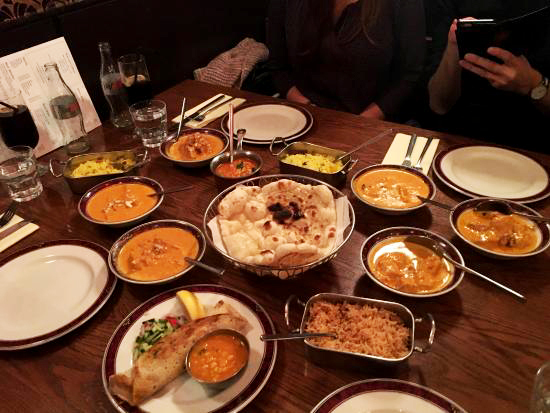 A delicious Indian restaurant that has excellent service, care and food quality. Here you will find some of the finest curry, nan dishes, biryani and deliciously incredible rice. All food is served by real love and care. 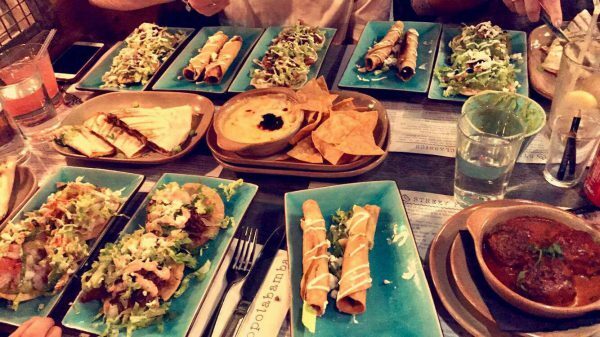 An authentic Mexican restaurant with an incredible Mexican style décor and has some of the finest burritos, tacos and fajitas. 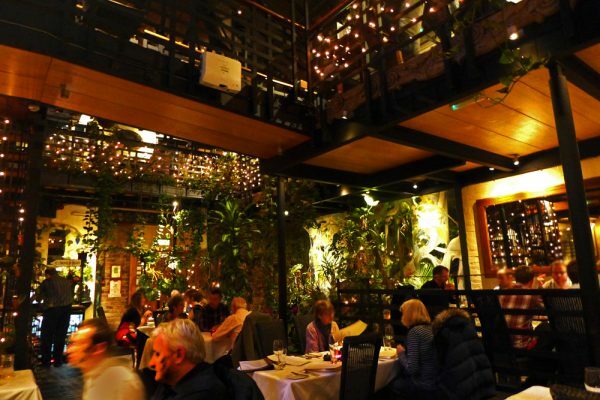 The restaurant is simply amazing and the staff are so friendly and sociable, it will almost make you feel as if you are meeting up at your acquaintances house instead of actually being served in a restaurant! A definite must visit for all Mexican food lovers.